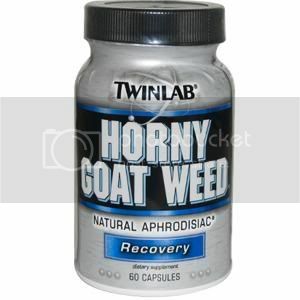 Horny Goat Weed For Men And Women! Complete Sexual Health Formula For Both Men And Women! Twinlab’s Horny Goat Weed is designed for both men and women. In addition to the Horny Goat Weed, the formula contains a proprietary blend of standardized herbs including MacaPure, Mucuna Pruriens, and Ginseng, Damiana, Ginkgo, and Cordyceps were combined to complete the formula. Horny Goat Weed’s aphrodisiac effects has been verified in both animal and human research. Product: contains Horny Goat Weed and a blend of standardized herbs including Maca Root, Mucuna Pruriens and Eleutherococcus senticosus Root Extract, including Damiana, Ginkgo and Cordyceps. Science: studies suggest Horny Goat Weed is a natural aphrodesiac. 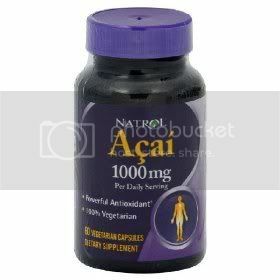 As a dietary supplement for men, take 2 capsules daily. May be taken 60-90 minutes prior to physical exertion. Taking more than the recommended amount will not imporve results. Not for sale to or useby individuals under the age of 18. Do not use if pregnant or nursing. This product contains yohimbe bark extract which contains yohimbine. Do not use this product if you are at risk or are being treated for high blood pressure, heart, kidney, thyroid or psychiatric disease, anxiety, depression, seizure disorder or stroke. Consult a health care professional before you use it if you are taking antidepressants, MAO inhibitor or any other prescription or any other prescription drugs. Not for use in children, geriatic patients. Discontinue use and consult your health care professional if dizziness, sleeplessness, tremors, nervousness, headache or heart palpitations occur. Taking more than the recommended amount will not improve results and may cause adverse reactions listed in the warning. Discontinue use of this product at least two weeks prior to any surgery.